From a postcard printed about 1909. From a postcard printed about 1909. 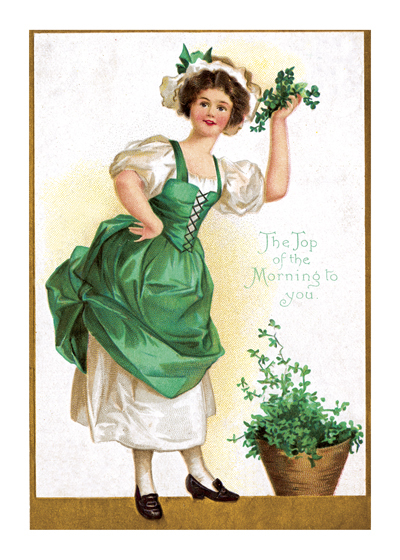 It pictures a comely Irish colleen, dressed in antique clothing (lots of green, of course) holding a bunch of shamrocks to emphasize her cheerful, old-country greeting.